At Prevent Dental Suite, we don’t just treat our patients as our clients but also as our own family. We are a family-friendly dental practice that provides gentle and specialist care for families in Kallangur and surrounding areas. We welcome patients of all ages and deliver appropriate and high-quality service to children, adults, and seniors. We are committed to making sure that you get the care you deserve for your oral health needs. Our modern dental practice offers a refreshing and relaxing environment that will help you keep calm and comfortable during your stay. Upon entering our office, our friendly dental team will greet you with a smile on their face to uplift your day. With Prevent Dental Suite, there is no need to fear dentistry. If you are looking for a trusted and long-term dental care provider, be sure to choose a family-friendly practice like Prevent Dental Suite in Kallangur. 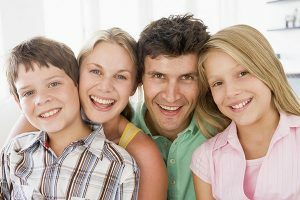 If you are a new patient or looking for a new dentist in Kallangur area, there are some things you need to consider in search of a good family dentist. A good family dentist must be friendly, especially to children. The dentist must use a gentle approach to ease a child’s fear of dentistry. Once the dentist has gained the trust of children, they will be more comfortable visiting the clinic at their next appointment. The dentist must also maintain a kid-friendly environment, as this can help reduce their anxieties. Aside from being friendly and welcoming, a good family dentist must also be experienced, particularly with families and children. The dentist must be knowledgeable in oral hygiene education and proper nutrition for the wellbeing of the mouth, and should have worked with a range of patients of different ages. While friendliness and experience are important, a good family dentist must also be professional, not just to their patients but also to their staff and other dental specialists. The dentist must treat everyone with compassion and professionalism. A good family dentist must be able to explain the treatment and procedure in a clear and simple way, especially if their patient is a child. Instead of using unfamiliar and very technical terms, the dentist must use words that both parents and children can understand. The costs, risks, and benefits of procedures must also be explained thoroughly to provide the patient a clearer view of treatment. Accidents can happen anytime. If you or your child has encountered a dental emergency, it’s important that you have a family dentist you can fully rely on in such a situation. We understand that not all people love visiting their dentists, no matter how friendly or nice those dentists might be. However, a strong bond between you and your dentist can help reduce your anxieties and discomfort. Thus, choosing a friendly, professional and reliable dentist is crucial for you and your child’s long-term dental health. At Prevent Dental Suite, we treat new or current patients as part of our growing family in Kallangur. We are dedicated to being your happy and friendly family dentist in Kallangur.